Global Agricultural Adjuvants Market - Competitive Analysis The major industry players involved in the manufacturing process of agricultural adjuvants have been experimenting in the market with various developments among the different varieties of products. The companies operational in this segment are highly focused to cover a significant market share to mark themselves different within the market. Moreover, a high level of competition is observed among the top market players to differentiate their products from other established players operational in this industry. 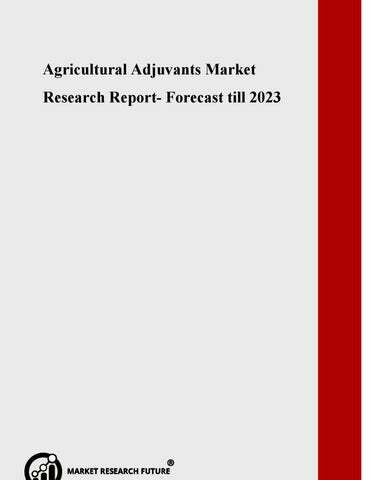 The key players profiled in Global Agricultural Adjuvants Market report are Evonik Industries AG (Germany), AkzoNobel N.V. (the Netherlands), Nufarm Ltd (Australia), Dow Corning Corp. (U.S.), Croda International PLC (UK), Clariant International Ltd (Switzerland), Adjuvant Plus Inc. (Canada), Helena Chemical (U.S.), Solvay (Belgium), and Huntsman Corp. (U.S.) among many others. Global Agricultural Adjuvants Market – Segments The Global Agricultural Adjuvants Market has been divided into type, crop type, application, and region. 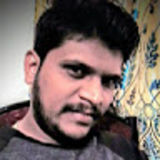 On the Basis of Type: Activator Adjuvants, and Utility Adjuvants On the Basis of Crop Type: Grains & Cereals, Oil Seeds & Pulses, Fruits & Vegetables, and Others On the Basis of Application: Herbicides, Insecticides, Fungicides, and Others On the Basis of Region: North America, Europe, Asia Pacific, and ROW Global Agricultural Adjuvants Market - Regional Analysis The Global Agricultural Adjuvants Market is segmented into North America, Europe, Asia Pacific, and rest of the world (RoW). North America is accounted to hold the highest share of agricultural adjuvants. Europe is estimated to have a moderate expansion in the market share of agricultural adjuvants over the estimated period. Additionally, the Asia Pacific region is also witnessing an exponential growth in the agricultural adjuvants market. India and China are found to be the largest countries in terms of population; these countries are majorly contributing to the growth of agricultural adjuvants in this region. Latin America is anticipated to gain a moderate growth rate over the estimated period. Monsanto Company has collaborated with Adjuvants Unlimited, LLC to develop an agricultural sprayer system cleaner that has been designed to deactivate dicamba. Sapec Agro Business acquired the French company SDP, through its subsidiary Tradecorp. Tradecorp is Sapec's specialty crop nutrition division. SDP’s adjuvants are expected to enhance the Sapec Agro Business global portfolio.